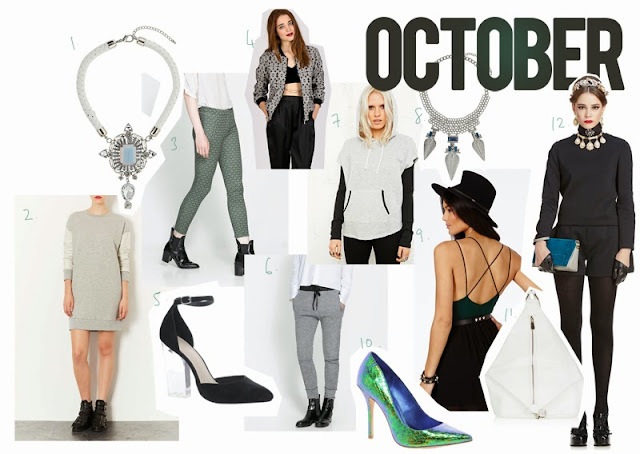 I've completely missed out my September wish list and jumped straight to October! Half way through putting this together I thought about doing a Halloween themed one... but alas it's a bit late now! I'm really liking simple, plain coloured clothing at the moment, so my wishlist this month consists of black and grey hues with a hint of green.